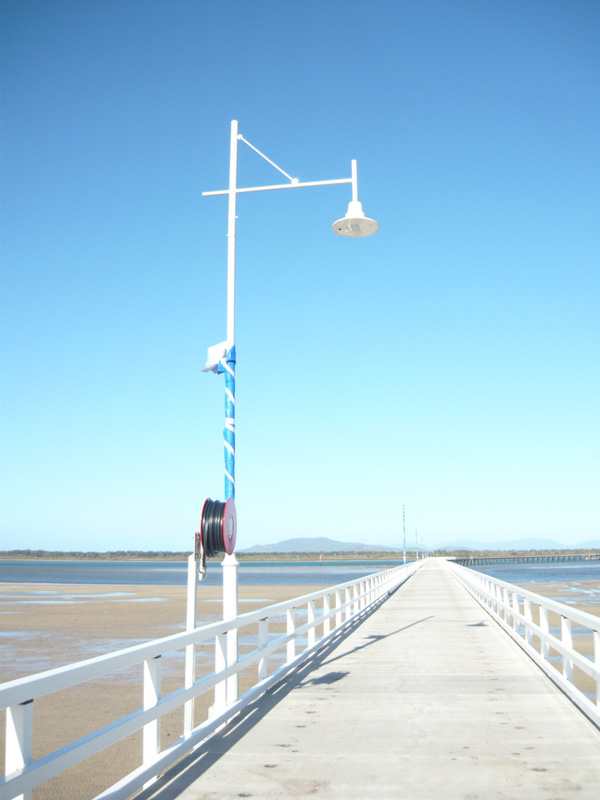 The Rehabilitation of the Port Welshpool Long Jetty is a South Gippsland Shire Council key priority project. Once complete, the Long Jetty will significantly enhance regional economic growth through increased tourism and employment opportunities. For this reason, it is the largest tourism infrastructure project to ever be undertaken in South Gippsland. 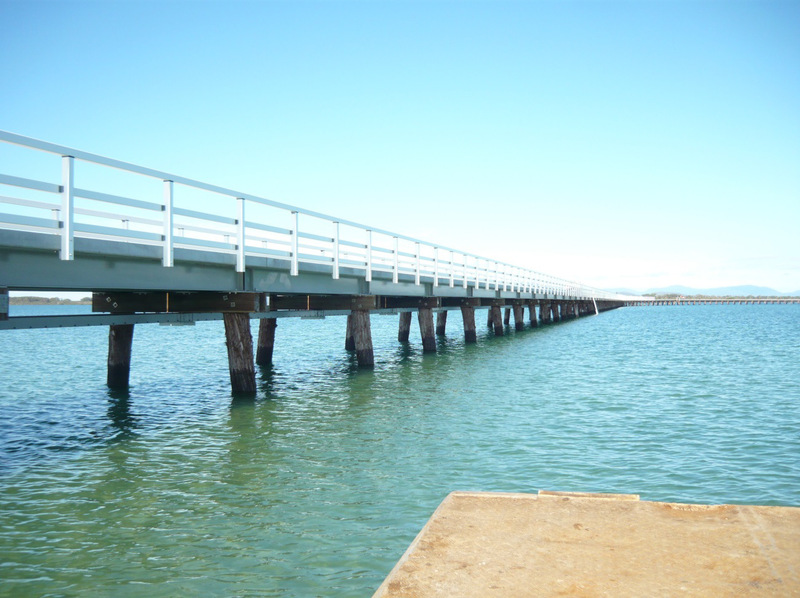 A contract for the rehabilitation of the Port Welshpool Long Jetty has been awarded to SMC Marine Pty Ltd. SMC Marine is a Sydney based company with extensive experience in the rehabilitation of timber wharfs and piers both in and around Sydney and in Western Australia. 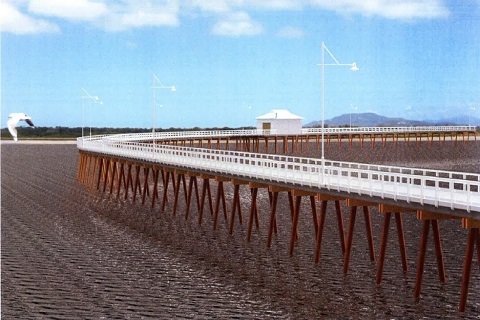 Recently they have designed and constructed the Anderson Road Jetty at Cowes and the Myer Street Jetty at Lakes Entrance. The project will see the inshore 190 metres (pile rows 1 to 62) rehabilitated on the existing piles crossheads and beams with precast concrete deck panels. The piles will be rehabilitated as much as is practical to retain their appearance. From pile row 62 to the start of the burnt section (pile row 250), a distance of approximately 572 metres, the existing structure will be demolished and replaced. It will follow the same alignment, with a new structure comprising timber piles and crossheads with a composite steel beam and concrete deck. 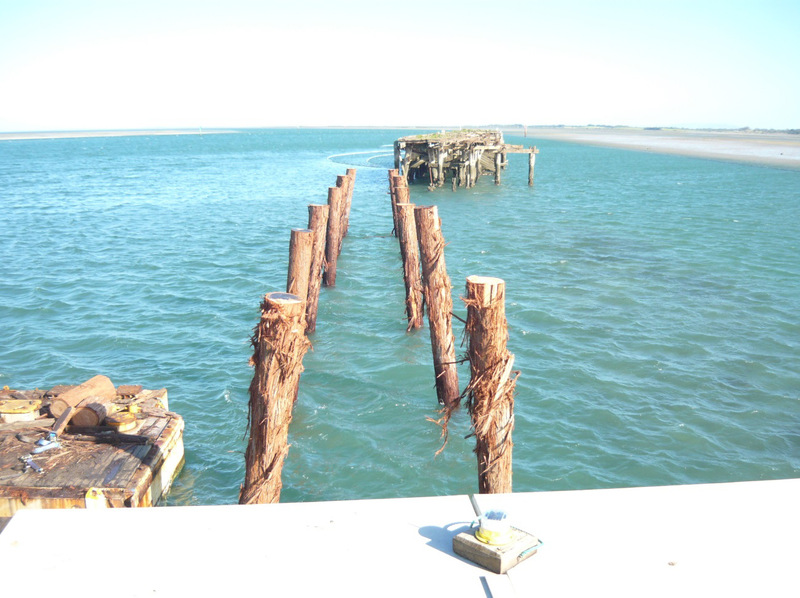 The new timber piles will be turpentine species driven at a rake to match the existing piles at six metre centres compared to the three metre centre of the piles in the existing jetty. The slipway approach will be partially reconstructed in a similar manner to the jetty and the existing winch shed will be restored and re-erected on the rebuilt slipway approach. The outer end of the jetty, beyond the end of the reconstructed jetty, will be demolished with the piles being cut off at 2 metres below low water to be retained as habitat. Navigation aids will be installed to define the underwater habitat area. The jetty will be finished to the requirements for disabled access and fitted with a fibreglass handrail on sides, public lighting, a water supply and fire service. Following completion of the works there will be the opportunity to provide interpretative information around the history of the Long Jetty. SMC Marine has indicated its intention, in association with a timber recycler, to grade the removed timbers as furniture, architectural, landscape, fire wood and disposal grades. SMC Marine has extensive experience with the rehabilitation of timber jetties and has demonstrated commitment to the recycling of as much timber as possible. The project will provide employment opportunities, with SMC Marine engaging regional subcontractors and suppliers. The Port Welshpool Long Jetty is owned by the Victorian State government and Gippsland Ports is the Local Port Manager and delegated manager of the Port Welshpool Long Jetty. Project delivery and contract management is by Gippsland Ports with South Gippsland Shire Council responsible for all media, messaging and community engagement. Funding for the project has been provided through grants from Regional Development Victoria, Federal Department of Infrastructure and Regional Development and South Gippsland Shire Council. Works commenced on site in July with site establishment and the removal of the deck timbers from the inshore section. The contract provides for completion of the works in late 2018. With the jetty deck construction progressing and now extending over the water it is requested for safety reasons that the public does not access the jetty until it is fully completed and reopened to the public. Bents 63 through 250 - Deconstructed (Chainage 190 to 760). Deconstruction PR 252 to 311 - approximately 50% of deck removed. Piles to be cut off below water level using shears that have now arrived on site.